An old friend gave me a turntable and this is the first thing I listened to. Phew! This is so hip, I dig this “European” band so much more than his current trio or the “American” band. 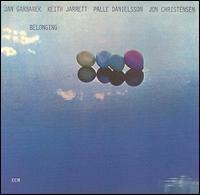 The music deserves a reunion of these guys – saxophonist Jan Garbarek, bassist Palle Danielsson, and drummer Jon Christensen with Keith Jarrett. How about a box set of live recordings to celebrate this great band on ECM? Works for me, it’s the best tribute to Tony William’s Lifetime that I’ve heard yet. Jack Bruce and the band sound perfect. 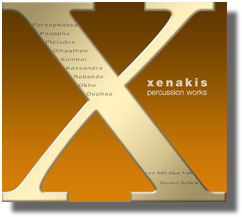 Xenakis knocks me out… unpredictable on the first listen, crazy sliding pitches, insane spiky piano, terrifying. But I gotta be in the mood for it. When I first heard Feldman, I think he was probably only gone a few years and already new recordings of performances were multiplying. Something Wild is an odd collection of music for films (obviously, gotta listen again), while the solo piano on Last Pieces always works for me. I’ve heard Patterns in a Chromatic Field performed twice, once by these musicians, Charles Curtis, cello and Aleck Karis, piano. Patterns and Last Pieces are essential Feldman. I became aware of Art Jarvinen aka While You Were Art a few years ago. Art died in late 2010. Here’s a blog post/obit by Kyle Gann and Art’s web pages. Edit: David Ocker on his friend Art. His music is obscure, not widely heard. Here’s a rare performance of his string quartet that showed up on utube recently, performed at Beyond Music at Beyond Baroque, by the Formalist Quartet. Art Jarvinen: 100 cadences with four melodies, a chorale, and a coda (with bells on!). Formalist Quartet performing for the “Art Jarvinen birthday concert” at Beyond Baroque, January 27, 2012. 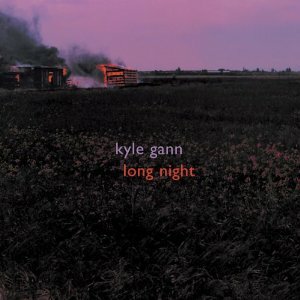 I heard these two streaming online at NPR’s First Listen, a great way to preview albums before I run out and get a copy. The Threadgill grew on me, Ravi is his own man…maybe I’ll get these somewhere down the line. I also heard this streaming online at The Bird Cage, I love it. I’ll have to get a copy. It should be in the stores or what’s left of them, this week. I was thrilled to hear this classic on WKCR one afternoon, while I was driving past Cony Island, down the Belt Parkway. The next day I even heard Riley’s Mescaline Mix. New York radio is the best. Early one morning in December 1993, I was listening to Piano and String Quartet and I checked my answering machine to find a message from Dancing Bob that Frank Zappa had died. I will always remember that moment when I hear this piece. I’ve been working my way through the 18 disc Messiaen Edition (Warner Classics). It could have been mastered a bit louder (seriously), but I’m up to disk 9. Today is Harry Partch and Terry Riley’s birthday. The drummer is the common link between these two recordings. Tony Williams at 18(!) in 1963 on Evolution and then years later on Supertrios in 1977. The Moncour album is new to me, recorded at about the time Tony started playing with Miles…great sensitivity to the resonance of the drums. 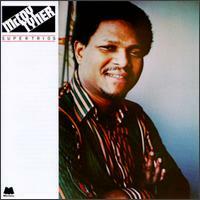 Tony plays half the Tyner album and Jack DeJohnette plays on the rest. And what an album! Many people told me what a great album this is and now I know for myself. Tony is so exciting because he constantly surprises me. This would be the next thing to check out after his playing with Miles Davis. Edit: I heard Tony play once at the Bottom Line, NYC date (1991?) of a six date tour with Jan Hammer. Rock tunes…Miami Vice, Led Boots, Blue Wind and Tony tore the place up. I’m so fortunate to have even heard Tony play, even in a rock band. Check out his playing with Miles Davis, the Lifetime with Larry Young, those early Blue Note dates when he was still a teenager….listen to the truth. Wait a year and it all sounds so fresh again. Igor Stravinsky’s 130th birthday on June 17th. Dante Rosati performs his classical guitar transcription of Igor Stravinsky’s Elegy.